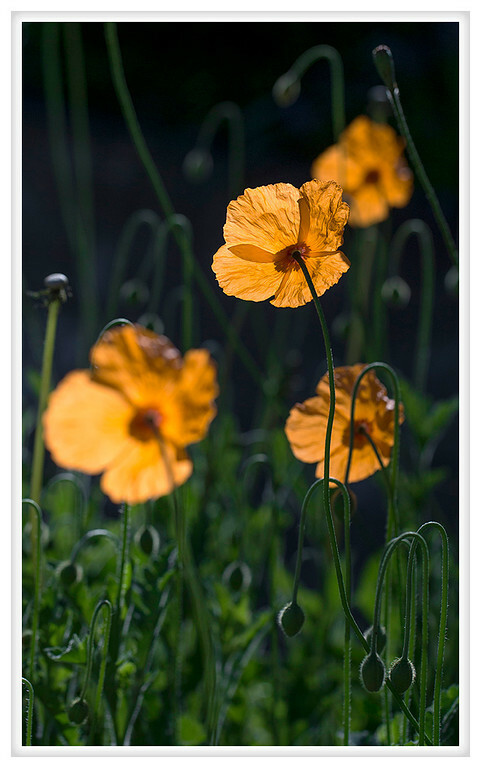 As the sun rose last week I came across these poppies with their flowers turning to the warm morning light. They looked so pretty illuminated like little orange lanterns bobbing in the gentle breeze. It was almost hypnotic watching them sway and dance.